Is Proving Service Connection in your VA Claim Like Buildling the Tower of Babel? Way back in biblical times, man apparently was building a tower to the heavens. Apparently, he almost got there, because god saw fit to confound their construction by waving his hand and making them all speak different languages. That story is a great allegory for what goes on the legal world of the VA Claims Process. 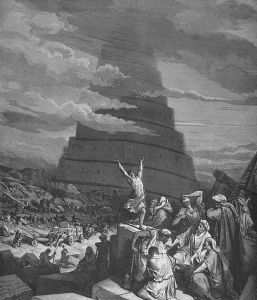 It is the Tower of Babel being built over at 810 Vermont Avenue. Just when you think you are close to getting your claim granted and moving on with the rest of your life, the VA decides that words that once meant one thing now mean something completely different. Words that you think mean one thing actually mean something totally different to another person or judge. Take the word “service connection”. Seems simple, doesn’t it? It’s not. Everyone in the VA system who uses it uses it differently. Veterans talk about getting their service-connection. The Courts struggle over whether service connection is an element of a legal claim or a claim in and of itself. I don’t think most VSOs are even aware of the importance of the word – when you hear them talk about claims, they are like stock-brokers on Wall Street, telling Vets how much they can “get” for their service-connected conditions. I’ll leave the debates over the semantics of legalese to linguists far smarter than me. 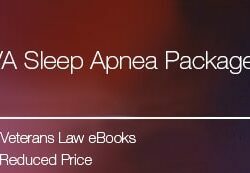 I prefer having a practical understanding of legal words. It doesn’t matter what the Veteran, the VSO, or the Court for that matter, thinks service-connection is, if a Veteran can’t prove it in their VA claim, they lose. This concept is at the core of my “8 Steps to Improving a VA Claim”. We can change the way Veterans experience the VA Claims Process by breaking it down into straightforward layman’s terms. The minute we get caught up in the tendency to prognosticate on semantics is the minute that we lose our cool with the VA and sentence ourselves to 50 years in VA Claims Prison. Service Connection is proving 3 things. 1) That something happened in service – an injury, event, accident, exposure, etc. 3) That there is nexus – or a Bridge – between #1 and #2. If you put in the right amount of 5-Star Evidence on those 3 facts, then you will prove service-connection every single time. Except the times that you don’t. 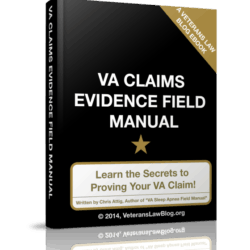 Just because you prove it, doesn’t mean the VA or the BVA is going to grant your claim. They make plenty of mistakes. 1) Keep going, keep arguing, and defend yourself. 2) Throw your hands up at the futility of the VA Hamster Wheel and walk away (I never recommend this course of action). How to Choose an accredited VA Attorney for your VA Appeal. This is not a push for you to contact my firm – I don’t market for the Attig Law Firm’s legal services on the Veterans Law Blog. When you are ready to contact an attorney, I want you to know how to find the one that is the right fit for you. 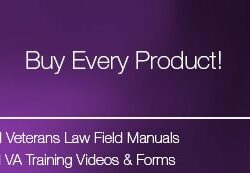 Check out my FREE eBook – “8 Things that Veterans Should Know Before Hiring an Attorney.” Talk to at least 3 attorneys, ask them all the questions on the checklist in that FREE eBook. Then, pick the one that you feel is the best fit for you and your claim. I am a recent Premium Member and cannot find the Free books you said I would be illegible for. What am I doing wrong? James….sorry you’re having trouble! Log in, then click here and go to this page to watch a couple videos showing you how to get access….and answer other Frequently Asked Questions.